Dragon Quest Builders is a delightful, story-driven sandbox RPG. Yet no matter how many tutorial quests they scrounge up for their numerous sandbox elements, it's not always enough to get by. So I've compiled a list of tips and tricks to help you survive the ruined world of Alefgard, and return the land to its former glory. Whether you're searching for an elusive building material or simply looking to regrow a few trees, you'll find what you seek here. 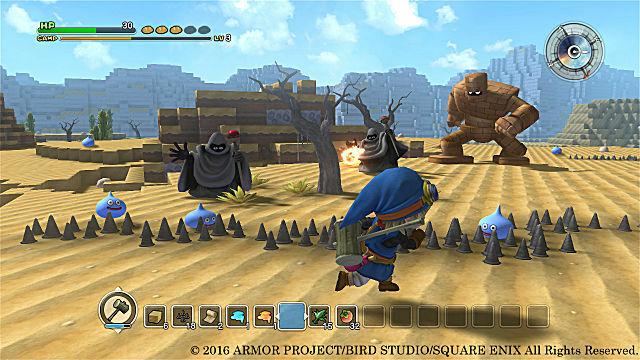 The camera is easily the most awkward part of Dragon Quest Builders. 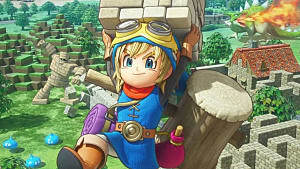 It's perfectly fine in the overworld, but can quickly become frustrating when going inside roofed houses or digging yourself into tight spaces. Dragon Quest Builders does not automatically zoom your camera into the room automatically. Rather, it shows your character's outline at first. To get around this, you simply need to point your camera to the sky and it will zoom into the cramped space you find yourself crawling around in. Of course, to return your camera to normal, simply click in R3. 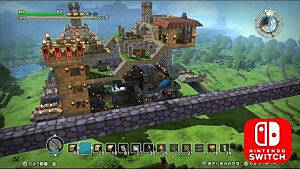 The more materials you have stocked up, the more building recipes you can invent. Some materials may seem difficult to find, but it's likely because you're not looking in the right places. At first, I thought I would be able to mine stone from the mountain side, but after I got my hammer and whacked at it, I got nothing. I later figured out stone drops from boulders out in the field. 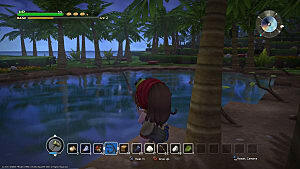 Monsters will also drop a variety of useful building materials, and they may even have unique drops across different chapters, so it's always worth going out of your way to see what you can discover. Those skeletons that dropped coarse cloth in Chapter 1 are suddenly dropping shards of metal in Chapter 2. The same goes for fishing. If you're not catching the fish you need in one area, try fishing in another. You should have a relatively good idea of what each spot has to offer you after a few casts of the rod. The best way to find everything you need is through good old fashioned exploration. If you're like me, you like to replant trees whenever you chop a few down. After all, you don't want to run out of wood in the foreseeable future. However, I found that trees wouldn't grow back when I planted them out in the wilds. Instead, you must plant trees within your base for them to grow. Once planted, they fully mature in about two in-game days. This is especially important in later chapters where trees aren't readily available. There are a few things that you'll want to set up in every town, no matter how different they are from chapter to chapter. The infinitely handy Colossal Coffer is a no-brainer. Though, if there's one other thing that's almost just as important, it's the personal bedroom. Hear me out. At night, the ghosts come out and relentlessly assault you -- at home or otherwise. It's almost impossible to get anything done while they're attacking, no matter how well-equipped you are. If you don't have enough beds in town, they will all be occupied by your villagers at night, leaving you with no way to sleep until morning. If you have a private bedroom all to yourself, it doesn't matter how much of a bed shortage you actually have, as the villagers will not go near your room. This leaves you with a guaranteed spot to rest your head at night when you otherwise need to flee from the onslaught of ghosts. Just don't forget to write your name on the sign. Be it teleportals, furnaces, cooking fires, colossal coffers, alchemy stations, or anything else under the moon, try placing it in an empty room to invent new room recipes. Not only do room recipes earn experience points for the base, they also provide passive buffs and benefits. 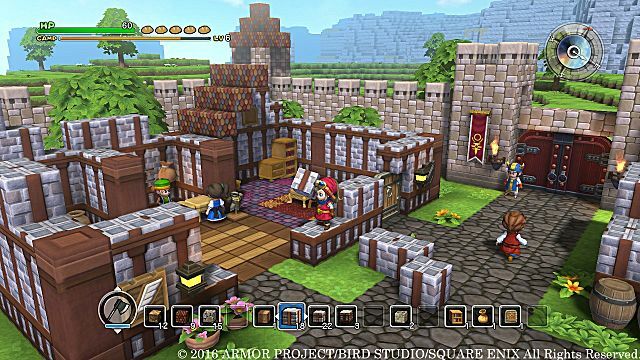 For example, having an alchemy station will inspire villagers to craft medicines while simultaneously boosting medicinal power by up to 50%! You could build a dressing room to get your villagers out of their nasty rags and later upgrade it into an armory so they can suit up for battle when the monsters attack. There are plenty of room recipes to discover, so be sure to experiment. Do not miss an inch of it. The dialogue and item descriptions hide buckets of essential information. If you're not sure what to do to complete a quest, talk to the NPC again. They'll often clarify what needs to be done for your objective. Sometimes they tell you where to search for materials. Other times they tell you everything you need to finish a room recipe. 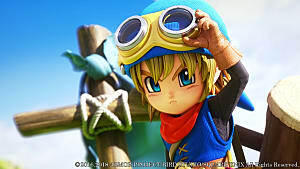 It's plain good habit to read the dialogue if you're new to Dragon Quest Builders. The storyline is essentially one long tutorial, and the villager's requests will reflect that. 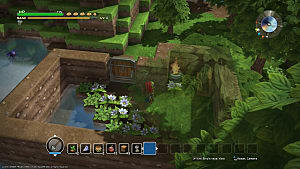 In later chapters, the villagers teach you how to invite them to adventure with you in a party. As soon as this feature unlocks, you can be damn sure you're going to need it. The monsters in late chapters have sizable health pools and pack a mighty punch. When you have the option, bring a party. The NP's actually do a surprisingly large amount of damage, and their health pools are sizable too. 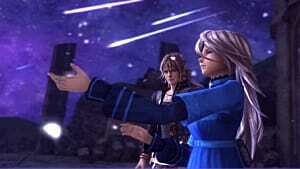 Even if they 'die,' they'll be back on their feet again and fighting in a mere matter of moments. You have absolutely nothing to lose. Most of all, have patience. 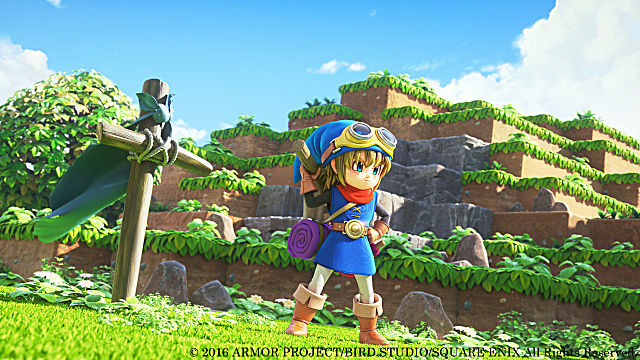 As stated in our review for Dragon Quest Builders, the backbone of the storyline is essentially an ongoing tutorial. 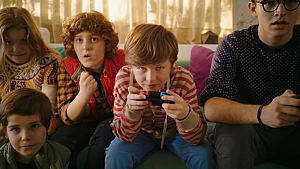 The game slowly reveals new sandbox elements over the course of the plot. You learn entirely new and exciting things in every chapter. 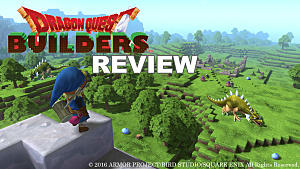 Dragon Quest Builders starts out feeling shallow, but it builds upon itself until it's finally revealed as a sandbox game that easily rivals Minecraft in fidelity. Take your time and enjoy yourself. Before you know it, you'll have the entire game under your belt, finally ready to conquer Terra Incognita. 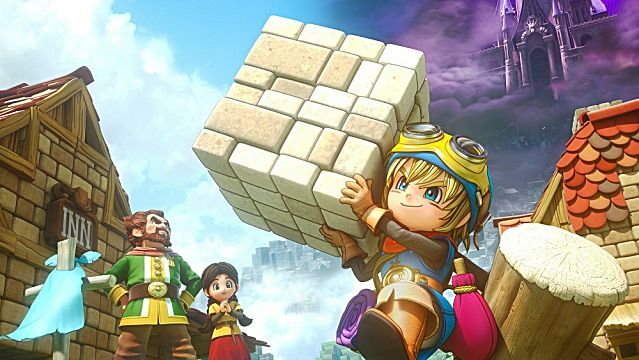 That's it for our tips and tricks for getting started in Dragon Quest Builders! I hope this beginner guide has served you well in your quest to rebuild Alefgard. But remember -- you are not the hero, so don't try anything too crazy. 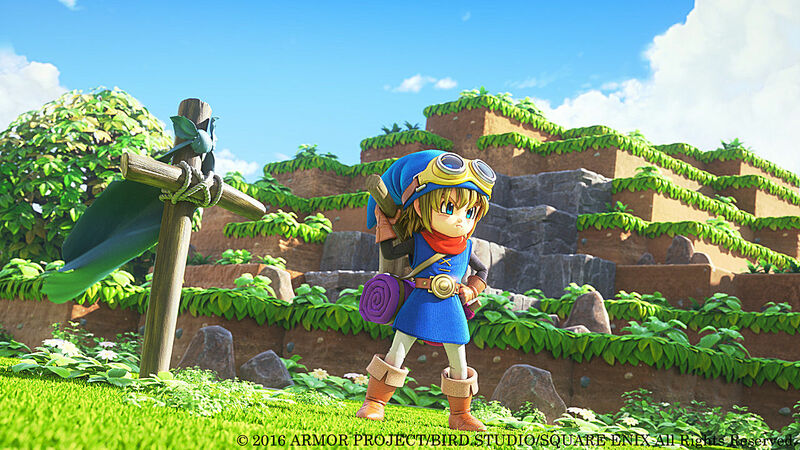 If you have any questions about Dragon Quest Builders -- or have any guides you wish to see next -- pop your comments down below!